LG Electronics and Meridian Audio collaborate to unveil at CES new LG SL9 series premium soundbars supporting Dolby Atmos, DTS:X and built-in Google Assistant voice control. The new lineup of LG SL9 series soundbars are set to be unveiled at CES 2019. The units are the result of a collaboration with Meridian Audio. CES 2019 will be the coming out party for the new SL9 premium soundbars from LG Electronics (LG) working in collaboration with Meridian Audio. 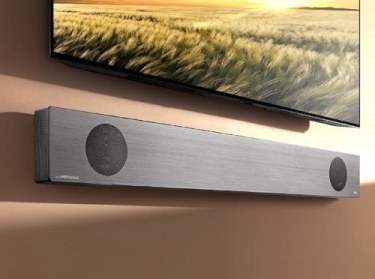 The series of three new soundbars not only will feature Meridian DSP technology for sound quality, but also include smart functionality and a sleek, modern design. Two of the units, models SL9YG and SL10YG, have been announced as winners of CES Innovation Awards in the Best of Innovation category. Working closely with Meridian, LG set out to improve sound quality across its product portfolio, extending Meridian’s exclusive technology to three soundbar models (models SL10YG, SL9YG and SL8YG) this year. The collaboration between the two companies goes beyond basic fine-tuning or the adoption of feature-sets, according to LG. The units include Meridian’s Bass & Space technology designed to improve the soundstage, offer strong bass, and envelop listeners in an immersive experience. The units also feature Meridian’s Image Elevation technology, which is designed to lift the soundstage to boost listeners' sense of immersion. Also, Meridian's Upmix technology increases sound immersion by improving the sound field while upgrading the clarity of vocals and lead instruments through its ability to up-mix two-channel audio to multiple, distinct channels without generating distortion. LG's high-end soundbars (models SL10, SL9 and SL8) support both Dolby Atmos and DTS:X. Users can also add a Wireless Rear Speaker Kit* to achieve a more cinema-like experience. The new lineup of soundbars also offer AI smart connectivity and voice recognition with the built-in Google Assistant. Users can control their LG soundbar and get information with a simple command such as, "Hey Google, increase the volume," or, "Hey Google, what artist is playing?" Compatibility with Google Assistant-enabled smart products make it possible to control connected devices throughout the home via voice command. Homeowners can say, "Hey Google, ask LG to turn on the air purifier," to the soundbar to make adjustments. The 2019 LG soundbars have a sleek, understated design to match the style of its OLED TVs. At 57mm (2.25 inches) deep, the LG SL9 can also be installed flush to the wall. An integrated gyroscope sensor gauges the position of the product (fixed to a wall or on a flat surface), adjusting sound directionality to improve the listening experience. "LG's 2019 soundbars deliver amazing performance tuned in close partnership with Meridian Audio with the convenience of smart AI connectivity," says Kim Dae-chul, head of LG Home Entertainment Company's audio and video business. 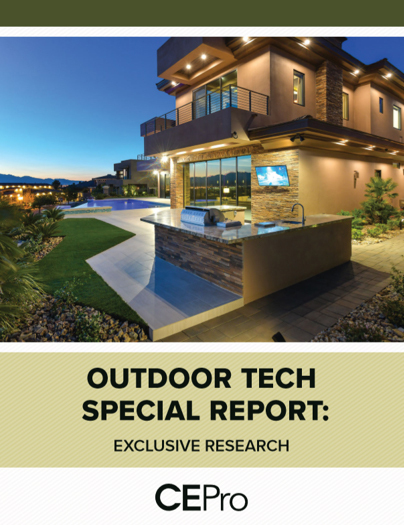 "The high-quality sound and versatility of our newest lineup takes home entertainment to a whole new level and satisfies a growing demand for premium sound bar solutions that provide impressive listening experiences, greater convenience and stylish, modern aesthetics."